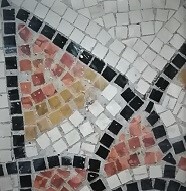 Follow the progress of our mosaic as we build, scratch our heads and build some more. This video takes you From June 9th to September 28th, all the way through 2018’s ‘construction season’. The covers are now on and it’s time for tea. See you in 2019. Music: Kevin MacLeod. incompetech.com. Unity.